California Accreditation for Pharmacy Education (CAPE), formally known as Accreditation Evaluation Service (AES), was created more than two decades ago to address the need for cost-effective accreditation of providers offering quality continuing education programs to keep pharmacists up-to-date. Today, CAPE is a division of the California Pharmacists Association which is one of only two agencies recognized by the California State Board of Pharmacy to accredit providers of continuing education for California pharmacy professionals. 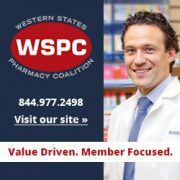 The name may have changed but the mission is still the same – to strengthen the performance of pharmacy continuing education providers and expand the availability of continuing education coursework to pharmacy professionals. What are the benefits of being recognized as an accredited CAPE provider? Streamlined application and renewal processes. Dedicated accreditation administrator to assist with questions & compliance issues. Standards of Practice that is straightforward and easy to follow for compliance. On-line access to forms and accreditation information. Undergo only one course audit per year. 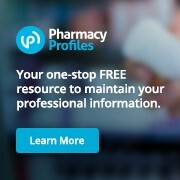 Cost-effective for smaller organizations or those that offer courses primarily to California pharmacy professionals. Want to become a CAPE Provider?